Carnegie Mellon University’s IRP/AMP program allows students to receive both a bachelor of science and master of science degree in International Relations and Politics in just five years. In addition to coursework and a required graduate thesis, IRP/AMP students complete a summer internship and take part in a cohort trip designed for networking and practical application of the curriculum. 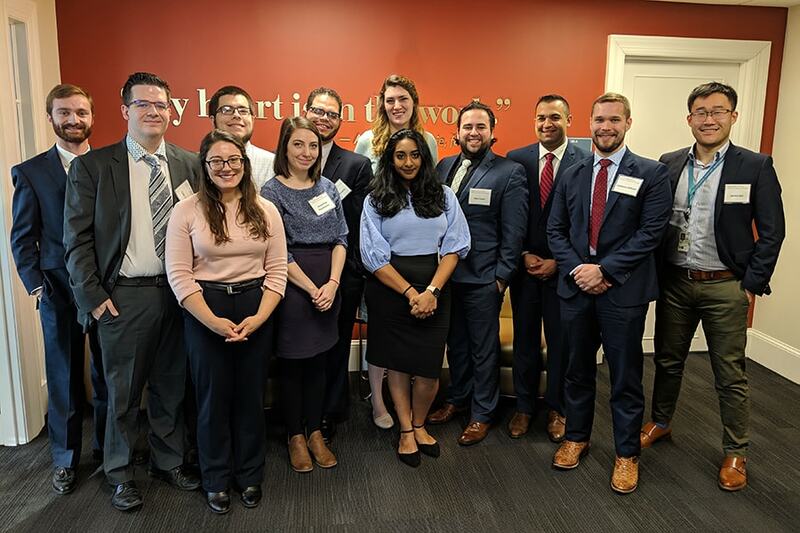 Traveling from CMU’s Pittsburgh campus to Washington, students spent three days visiting government sites and think tanks, engaging with D.C.-based CMU alumni, and exploring international relations and security-adjacent opportunities. Site visits included the National Counterterrorism Center (NCTC), the Pentagon, the United States Institute of Peace (USIP), Blue Origin and the Pew Research Center. At each site, students spoke with experts about national security issues of the day and the intersection of emerging technologies and global security. As students are in the process of completing their theses and exploring future research projects, the conversations with experts are especially relevant. For IRP/AMP student Colin Tait, hearing from specialists at the United States Institute for Peace was particularly insightful. “It was interesting to talk to the specialists to learn about their work, and seeing how my current studies in conflict resolution and peace agreement formation is relevant to such professional organizations,” he said. Ian Asenjo, also an IRP/AMP student, agrees. “I have always known what I was interested in career-wise, but I was not as familiar with the organizations that actually performed the work that I wanted to pursue. Meeting with representatives from USIP exposed me to the complex nature of peacekeeping,” he said. During the site visits, students also received career advice from recent graduates and career civil servants, creating connections and providing guidance on how to break into national security, intelligence and consulting fields. “All of the speakers painted a picture as to what life post-college was like in terms of seeking a job, which was very helpful,” said IRP/AMP student Jacqueline Puschmann. Outside of site visits, DC-based CMU alumni joined the group for meals to discuss their work and share their experiences moving from campus to Washington. Hearing from recent CMU alumni who successfully transitioned to careers in DC provided unique, accessible insight to future possibilities. As students settle back into campus life, they will focus on completing their theses, preparing for graduation and planning for their next professional steps. After the trip to Washington, D.C., these plans have come into sharper focus. During a recent trip to Washington, D.C., CMU students in the International Relations and Politics Accelerated Master’s Program visited with Kiron Skinner (second from left). Skinner, the Taube Professor of International Relations and Politics at CMU, is currently serving as Director of Policy Planning at the U.S. Department of State. 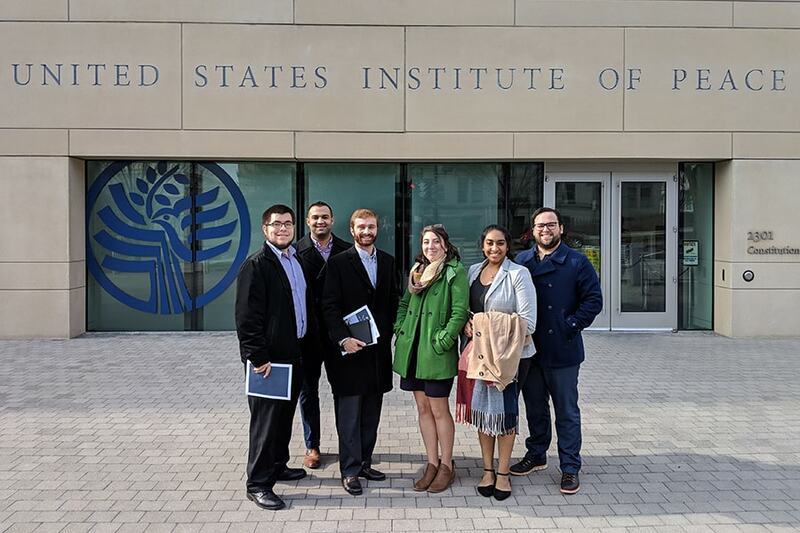 Students spent three days visiting government sites and think tanks, engaging with Washington, D.C.-based CMU alumni and exploring international relations and security-adjacent opportunities. Pictured here are students with Kiron Skinner (second from left), who is currently serving as Director of Policy Planning at the U.S. Department of State. Skinner is the Taube Professor of International Relations and Politics at CMU. Site visits included the U.S. Institute of Peace, where students spoke with experts about national security issues of the day and the intersection of emerging technologies and global security. 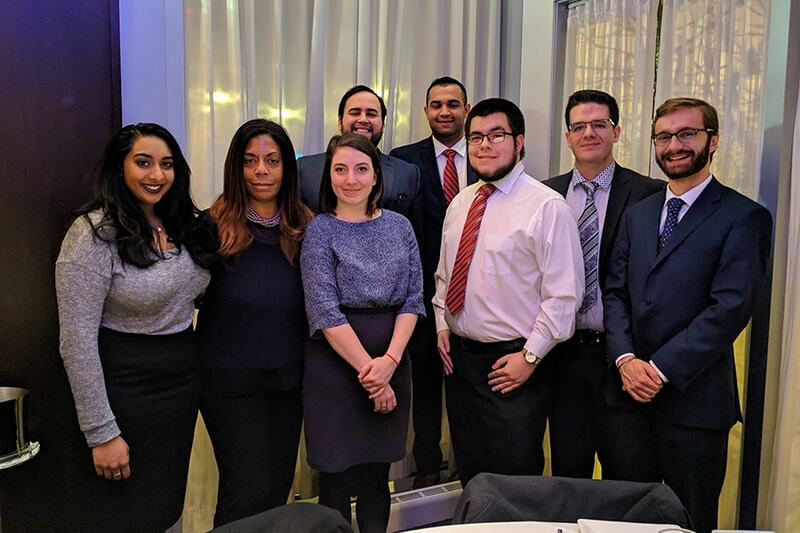 ﻿Outside of site visits, Washington, D.C.-based CMU alumni joined the group for meals to discuss their work and share their experiences moving from campus to Washington.